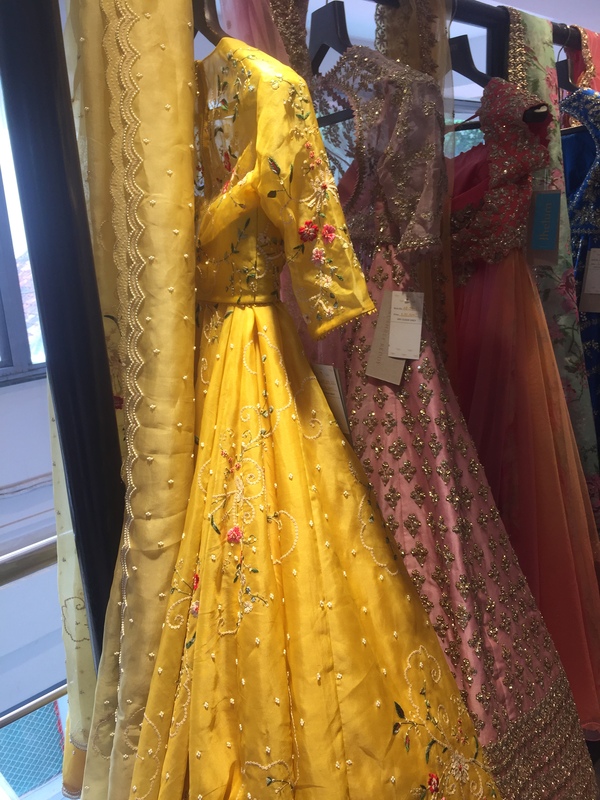 Hey peeps, in line with my Instagram theme here comes another brand blog post and this time it is none other than the extremely talented and self taught Hyderabad based designer Anushree Reddy’s Bridal collection at the popular multi designer city based – Jhelum Fashion House. 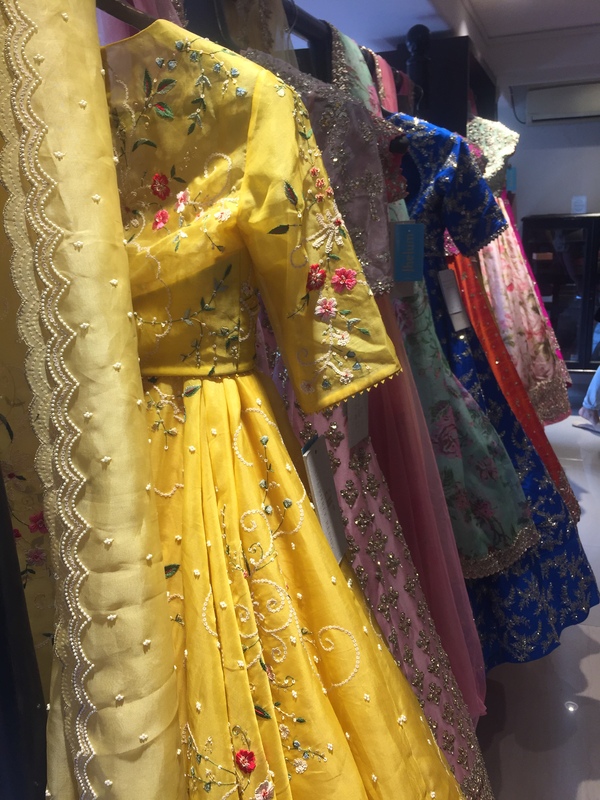 I was invited by Jhelum Fashion House for a preview of the latest bridal collection and I was super thrilled to be associated with them once again. Everything from the colour pallete to the work and the intricate designs was so modern and classy. It is exactly what a modern day bride could dream off. 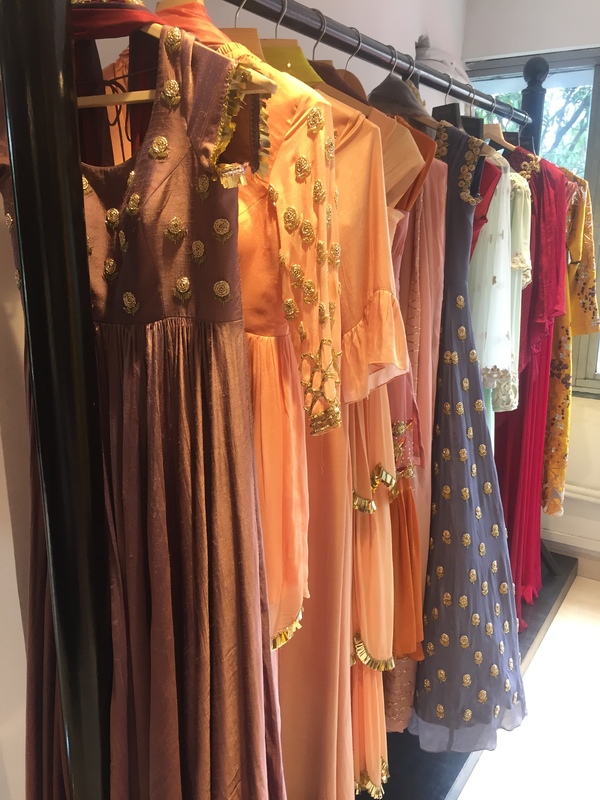 From extravagant lehengas, to subtle digital print ones, elegant anarkalis and minimal tunics, there is something for all the special occasions for the bride to be. 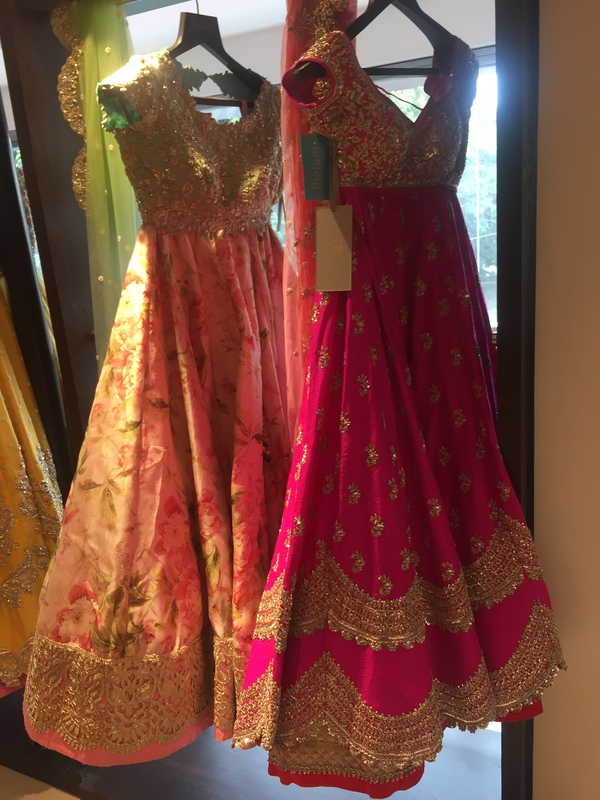 The bright hues of deep reds and blues to the magical pastels of pink and peach are every brides vision of her dream turning into a reality. 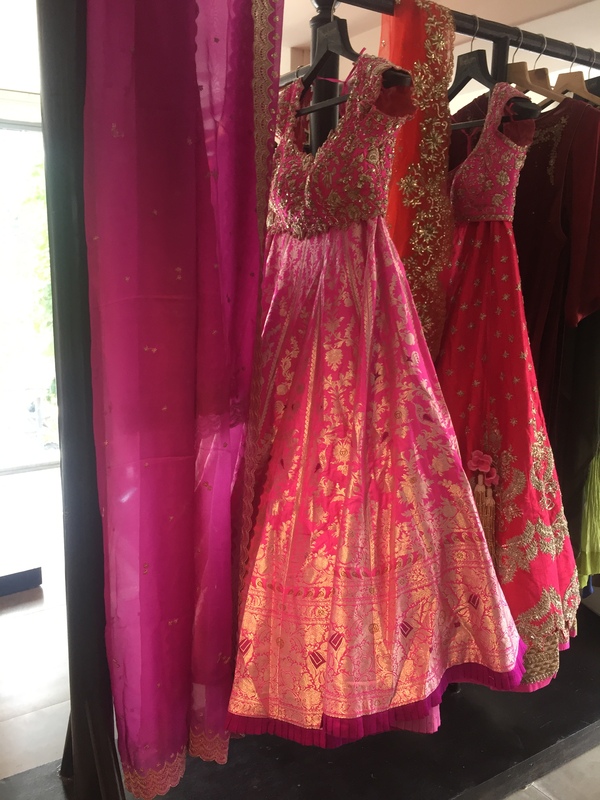 Anushree Reddy has chosen sophistication and minimalism as the theme while designing these stunning outfits. They are extremely stylish, trendy and go beyond wearing them for just your special day. 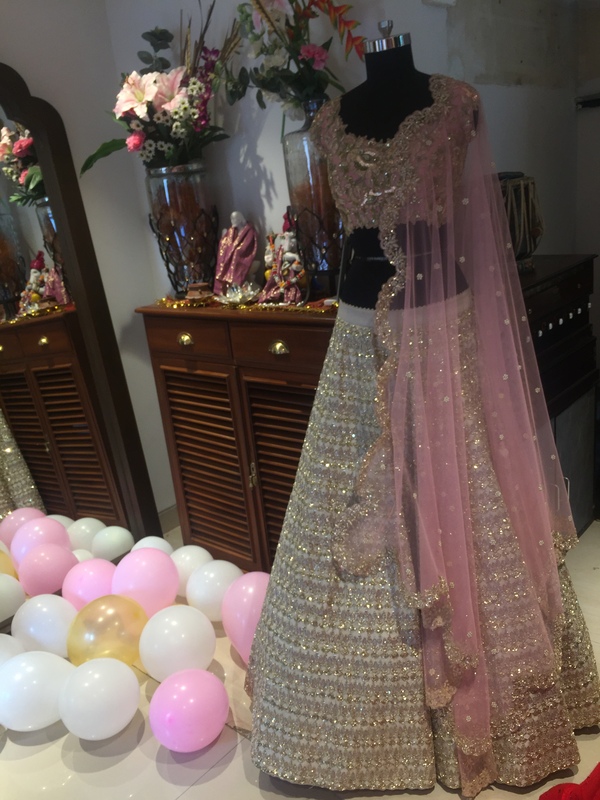 They bring out the elegance and sensuality together and is truly special for the bride to cherish all her life. Sharing some pics with you. Hope you like them. 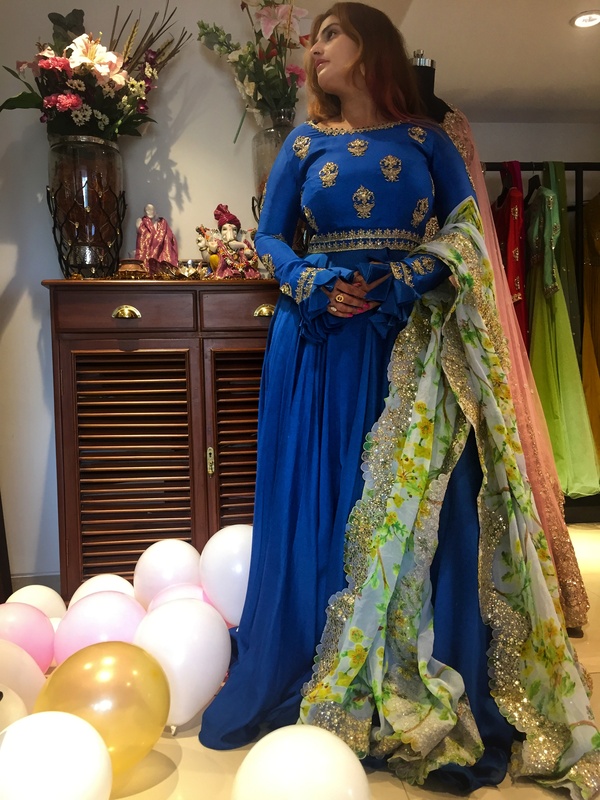 How lovely is this ensemble for a reception evening. Team it a with a heavy dupatta to add to the glam quotient. 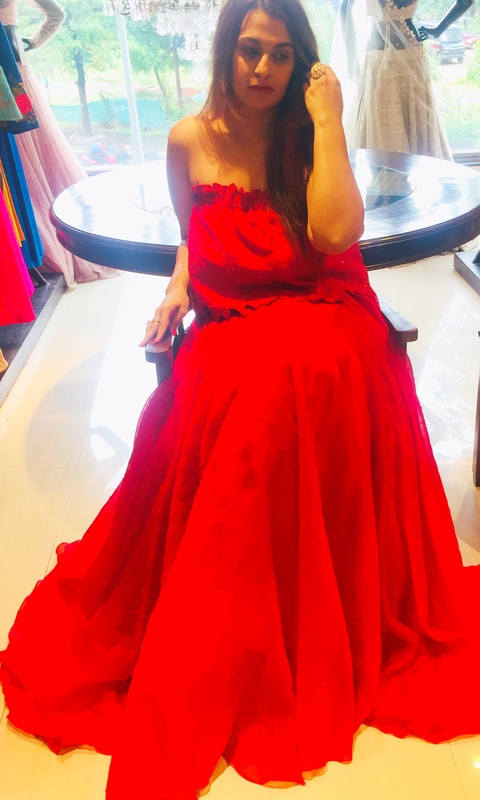 Cannot get over how minimalistic yet stunning is this red tube lehenga. 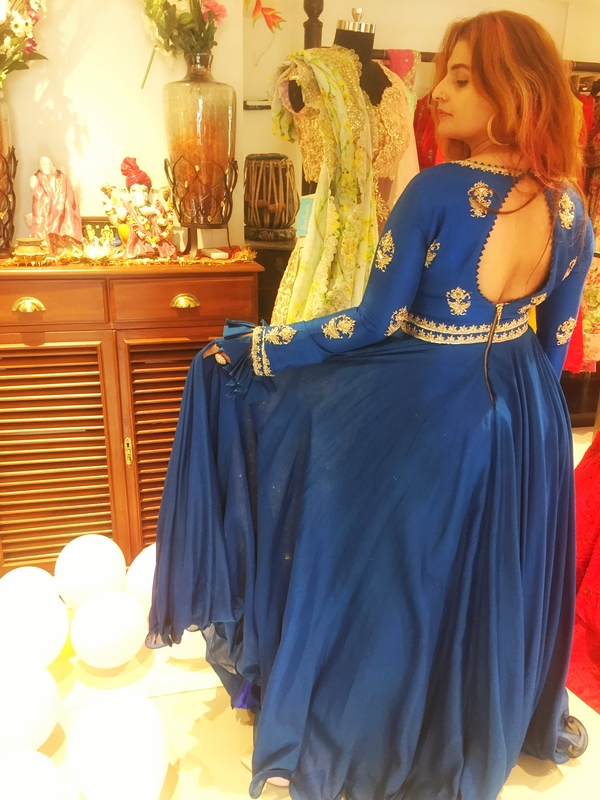 The contrast dupatta with the bling border compliments the outfit perfectlt. The fringe detailing on the sleeve is so delicate and trendy. Beautifully written and the collection looks awesome.